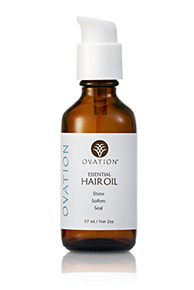 Enjoy the convenience of having your favorite Ovation Hair products delivered direct to your door at an interval that works for you! You can set delivery preference ranging from monthly to every 4 months. 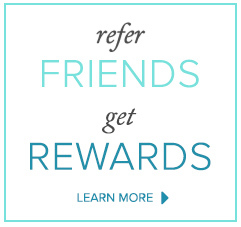 Earn Loyalty Rewards 2x as fast when you enroll in Ovation's Replenishment Program. Once you earn 50 points you will receive a Loyalty Rewards worth $32.50 to use towards a future order within the next year. Replenishment clients must call in or order online to apply accrued Loyalty Rewards to an order. Just check out the points reward system below to see how quickly you will score your next Loyalty Reward! FREE Shipping on Future Orders! Proceed to the shopping cart final checkout page and choose frequency of order. The Replenishment enrollment date begins the day you sign up, and your first automatic shipment will occur when the first interval is reached. At this time, replenishment orders cannot be processed through PayPal. In addition, we are unable to establish replenishment orders with delivery addresses outside of the country. A credit or debit card is required to create a replenishment order. To add a credit card, go to “My Account” and click on the "SETTINGS" tab on the left. From "SETTINGS", choose "Credit Cards" and enter the credit card you would like to use for your Replenishment Orders. To change the item(s) on replenishment, please contact a Personal Account Representative at (888) 411-3252. To change your delivery frequency, simply log on to "My Account" and click on the "Replenishment" tab on the left. Choose the 'edit' button to the right of the Replenishment Order you would like to change. Here you are able to change the next ship date, interval of shipments or delete the Replenishment Order. If you would like to change item(s) on replenishment, please contact a Personal Account Representative at (888) 411-3252. Log on to “ My Account” and click on the "SETTINGS" tab on the left. From "SETTINGS", choose "Credit Cards" and enter the credit card you would like to use for future Replenishment Orders. Replenishment orders are automatically generated and billed. Clients must call in or order online to apply accrued Loyalty Rewards to an order. Simply log on to "My Account" and click on the "Replenishment" tab on the left. Choose the 'edit' button to the right of the Replenishment Order you would like to cancel. Check the box entitled "Delete this Order" and click the "Update" button or contact a Personal Account Representative at (888) 411-3252. Replenishment Program Subscription: By participating in the Replenishment Program and purchasing a recurring Subscription, you agree to initial and recurring product Subscription charges imposed by DC Labs at the then-current product rate, and you accept responsibility for all recurring charges made prior to cancellation of your Subscription. Your membership in the Program will remain in effect until it is cancelled. Automatic Renewal Terms: Once you register for the Replenishment Program, DC Labs will automatically process your product Subscription charges in the next billing cycle, AND as authorized by your registration, which demonstrates your EXPRESS CONSENT to recurring charges, DC Labs will continue to automatically process your Subscription charges at the then-current Subscription rate without further notice to you and without your authorization, unless you cancel your Subscription.